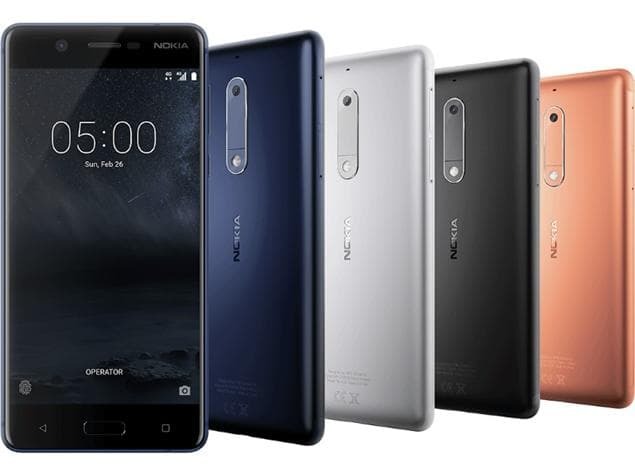 HMD Global today revealed its much anticipated NOKIA brand of Android smartphones in India. 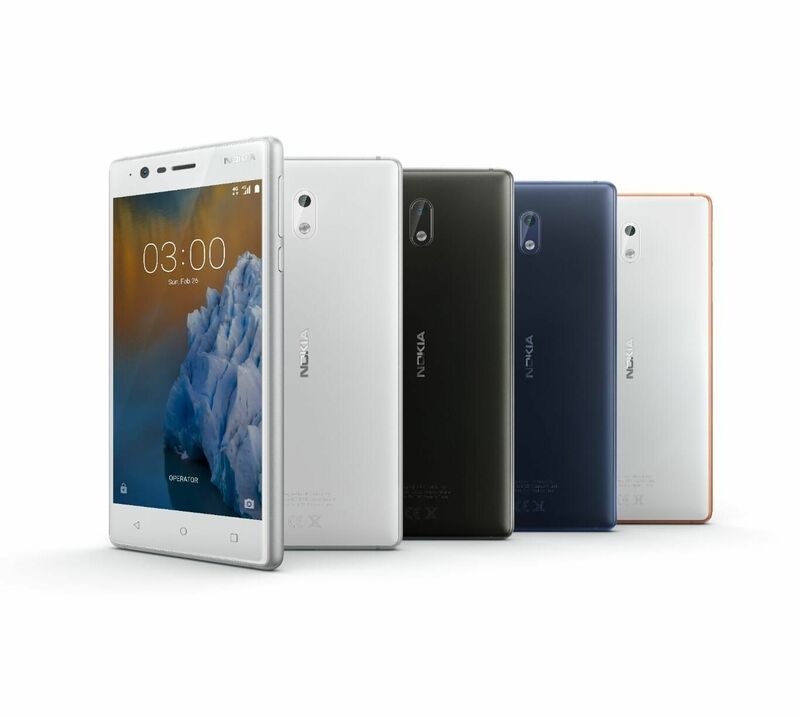 The company has launched all three handsets in the series, the NOKIA 6, 5 and 3 although in different retail channels and to evenly cover all possible price points. All three handsets come with Android v.7.x, Nougat out of the box and would be receiving the Android O update as soon as possible once Google releases it to OEM’s. The smartphones will also be getting monthly security patches and are all 4G VoLTE compatible. So let us get into the nitty-gritty of the launch. The NOKIA 6 is the current top of the line handset amongst those unveiled by HMD. It features a Qualcomm Snapdragon 430 chipset complemented by 3 GB of RAM and 32 GB of internal storage. The storage can be augmented with up to a 128 GB microSD card. The front of the device is dominated by a 5.5-inch full-HD (1080 x1920) display clad under a layer of 2.5D curved Gorilla Glass to prevent scratches. For the camera HMD has provisioned the NOKIA 6 with a 16-megapixel shooter at the rear and an 8-megapixel selfie shooter up front, both having a f/2.0 aperture. Powering all this hardware is a 3000mAh non-removable battery unit. All this is enclosed in an all-metal chassis. 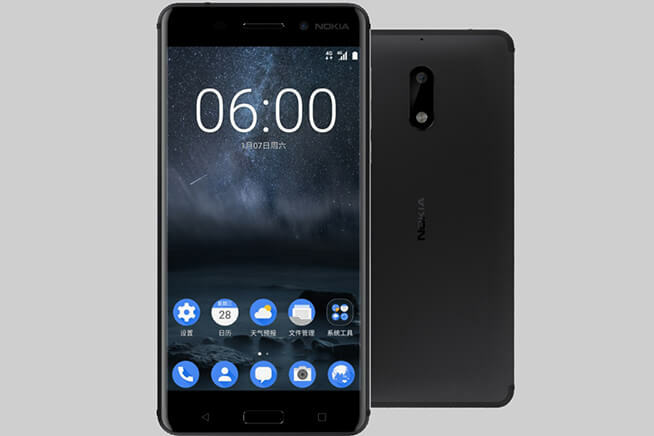 For NOKIA 6 also features a fingerprint scanner below the display up front for security and quick access, dual stereo speakers coupled with Dolby Atmos audio enhancement. For hardware connectivity and charging the battery, the smartphone has a 3.5mm audio jack and a microUSB 2.0 connector. The handset carries a price tag of ₹14,999 but customers paying via Amazon Pay balance will get ₹1,000 off. Registrations for the NOKIA 6 commence on July 14th but no official word has been received about the day of sale. The NOKIA 5 is like a diet version of its predecessor, featuring the same Snapdragon 430 SoC the device packs in 2 GB of RAM and 16 GB of inbuilt storage. The storage can be upgraded just like the NOKIA 6 with up to a 128 GB microSD card. The smartphone comes with a smaller 5.2-inch HD (720 x1280) display but features the same 3000mAh battery as its senior sibling, which hopefully equates to a good stand-by time. The NOKIA 5 is also constructed of series 6000 aluminium with curved edges allowing for an easy grip on the handset. HMD Global has provisioned the smartphone with a 13-megapixel rear shooter and an 8-megapixel selfie snapper, both come with the same f/2.0 aperture. The smartphone also packs in a fingerprint scanner below the display, a microUSB 2.0 connector and a 3.5mm audio jack. The NOKIA 5 carries a price tag of ₹12,899 and will be available for pre-booking from July 7 from offline retailers. Finally we come to the youngest of the bunch, the NOKIA 3. The only device among the three showcased today carrying a MediaTek chipset at its heart. The smartphone is powered by a MT6737 SoC coupled with 2 GB of RAM and 16 GB of internal storage. Once again the storage can be expanded with the aid of a microSD card (up to 128 GB). The display is a 5.0-inch HD panel clad under Corning’s Gorilla Glass. On the optics front, the handset has an 8.0-megapixel sensor on the front as well on the back, both with a f/2.0 aperture. To power all this hardware, HMD has provisioned the handset with a 2650mAh non-removable battery. The NOKIA 3 comes with a microUSB 2.0 port and 3.5mm audio jack and surprisingly has an NFC module on board. It will be available exclusively from major offline retail partners from the 16th of June for ₹9,499. 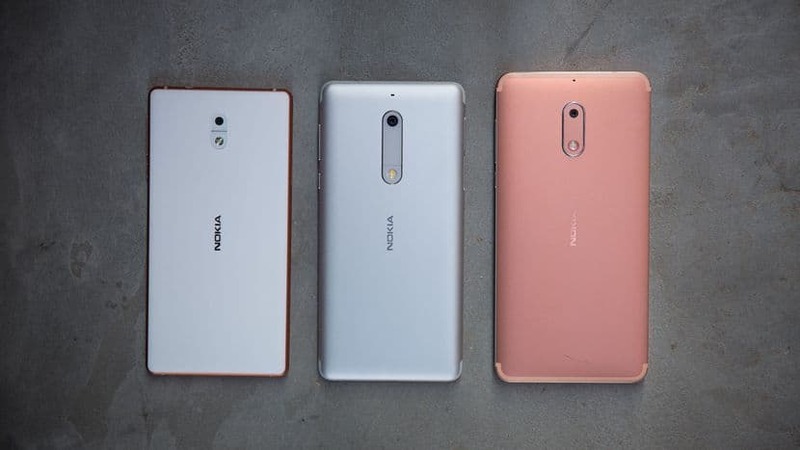 Overall, the launch seems to be more of a paper launch but at least it confirms that the NOKIA brand has returned and it is taking competition seriously. Follow us on our social media to keep up to date with the latest in the world of Android.